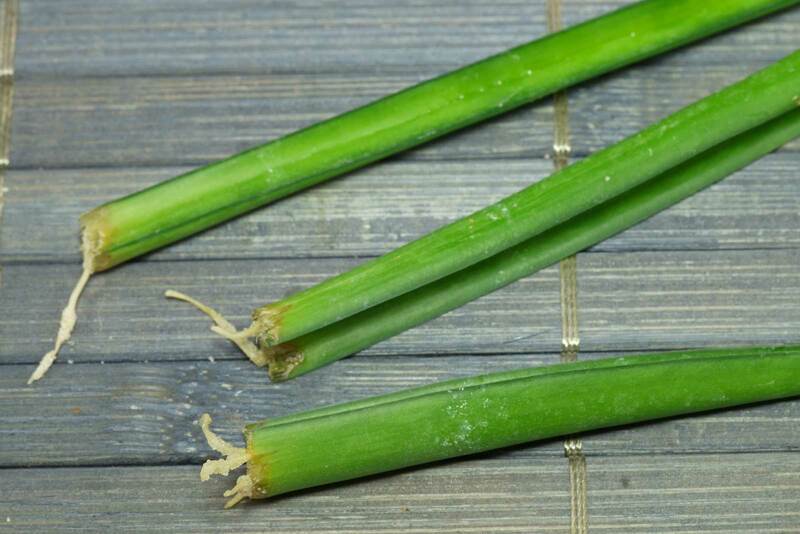 New growth after: leaf cuttings do not root as reliably and quickly as with Sansevieria trifasciata. 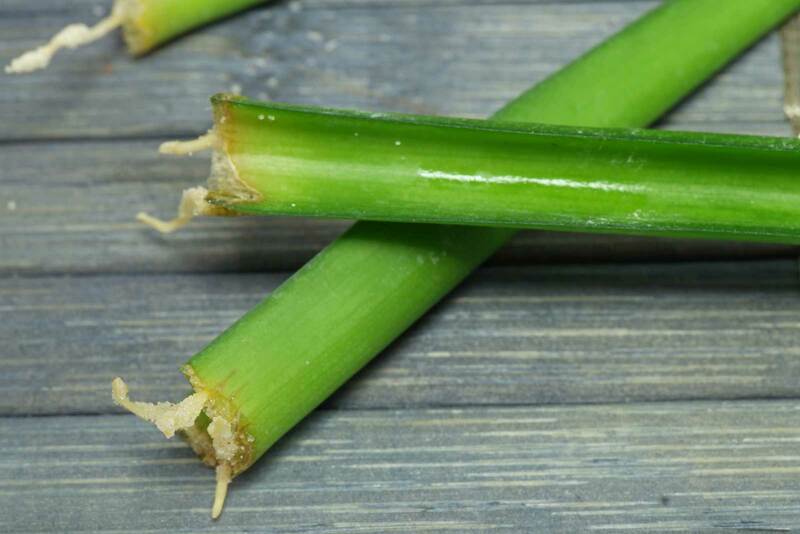 First roots are shown after 12 to 16 weeks new leaves appear after another 8 to 12 weeks. 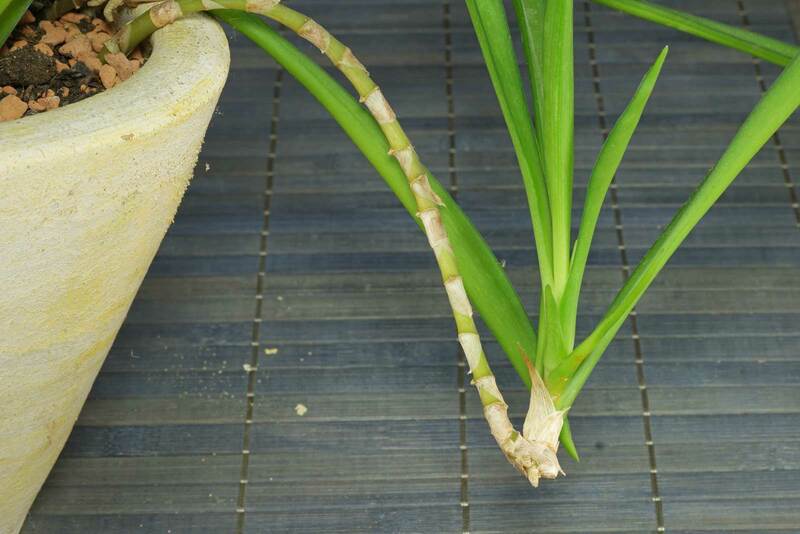 Only half of the cuttings were rooted. 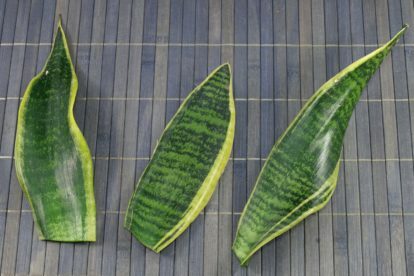 More infos: it is better to propagate cultivars with yellow or white colored leaves from runners. 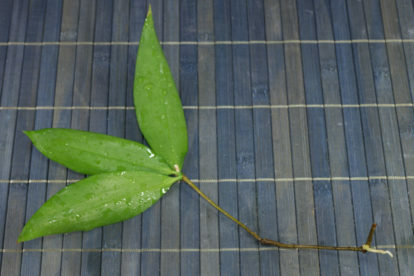 They can be grown from leaf cuttings, but the resulting plants will always revert to its green leaved wild type, the yellow or white edges are completely lost. 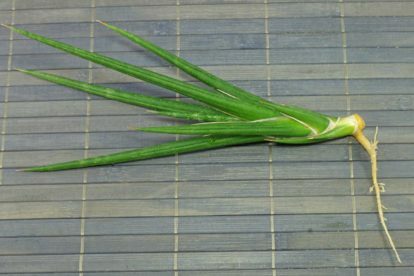 Runners can be separated from the mother plant as soon as they show the first root tip.